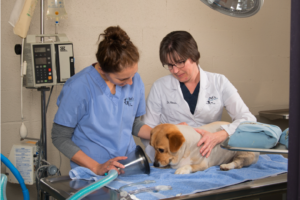 We offer a vast array of surgical services including everything from spay or neuter surgery to emergency intestinal obstruction/foreign body surgery. Our most common surgical procedure is the removing of skin masses and various lumps and bumps. Our surgery suites feature full anesthetic machines and monitoring equipment as well as heated surgery tables. Between all of us we have over 30 years of surgical experience.